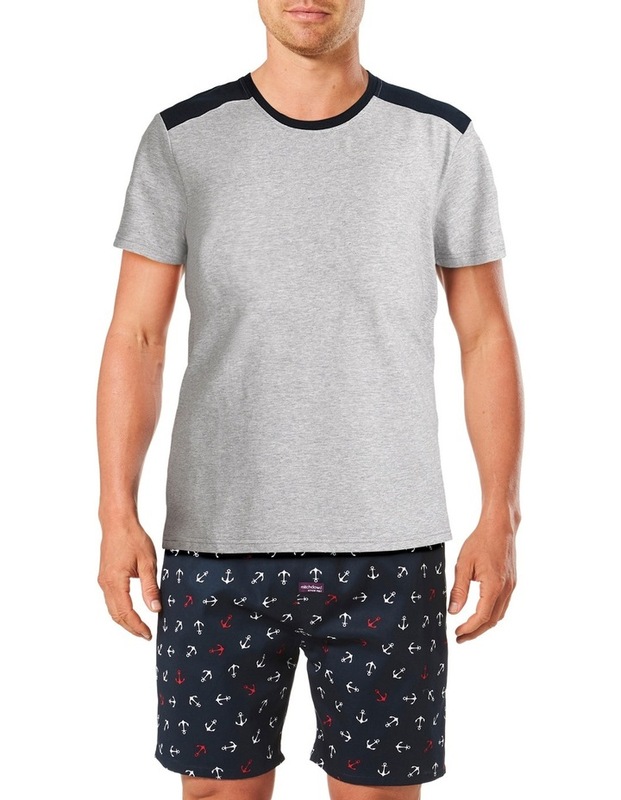 Hang out with mitch in our original men's anchor short sleeve sleep set gift box. 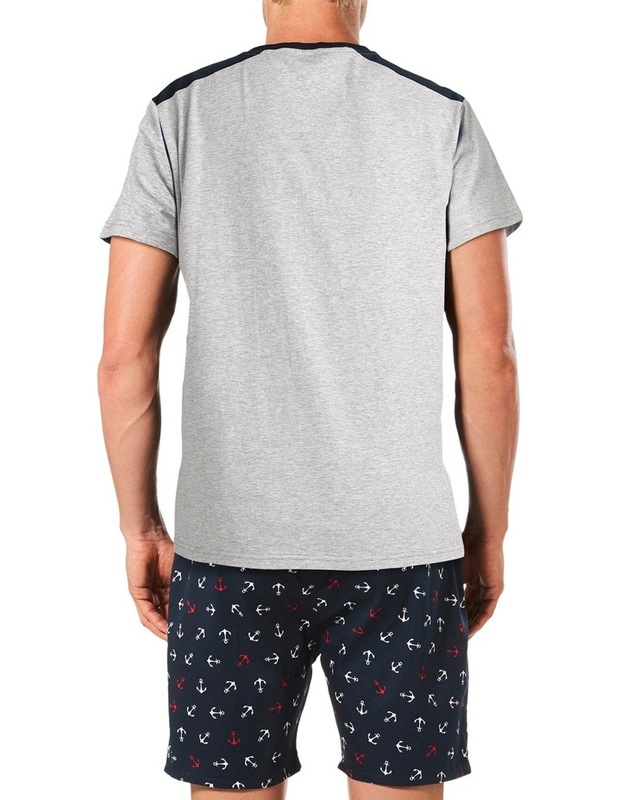 The tee is lovingly crafted from 100% cotton jersey which breathes beautifully and features a contrast round rib neckline with shoulder detail, short sleeves and woven pip tag at bottom left. 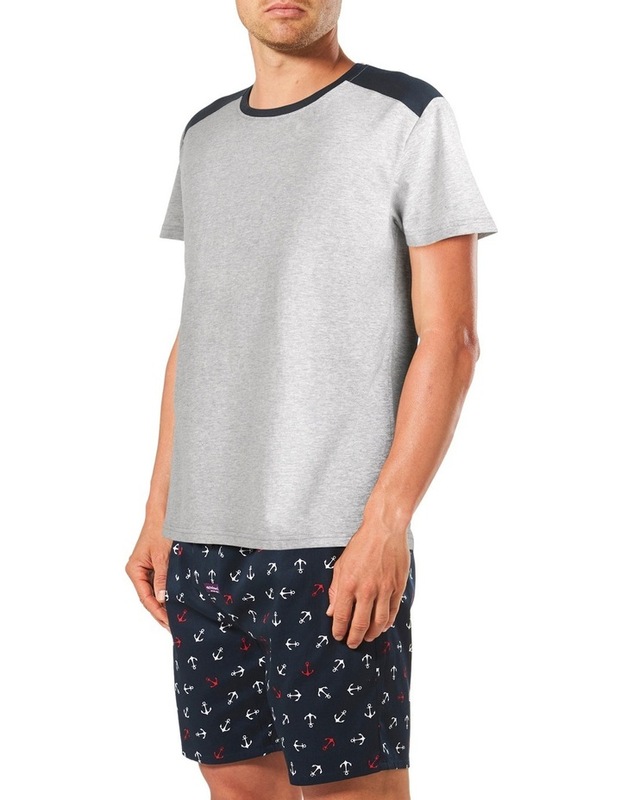 The sleep shorts are crafted from 100% cotton twill and feature a mid-length relaxed fit, a covered elastic waistband, drawstring fastening, single button fly and side pockets. every pair of our original range is designed by us - original designs by original people. This sleep set is the perfect gift.